June 22, 2000, ATLANTA, Ga.
As part of his ongoing effort to bring attention to Moringa Oleifera, the “miracle tree,” former Atlanta Mayor and United Nations Ambassador Andrew Young today received 20 six-inch-tall Moringa tree seedlings at his home – at noon, on a hot, humid, sunny day in the middle of Georgia’s worst drought in recorded history. The seedlings are a gift of Church World Service, a pioneer in documenting Moringa products’ exceptional nutritional value and popularizing this drought-resistant, fast-growing tree’s cultivation in West Africa and beyond. Mr. Young quickly developed an affinity for the Moringa tree when he first heard about it last November. The Moringa’s leaves, leaf powder, pods and seeds are packed with protein, calcium, minerals, iron and several important vitamins. The tree’s flowers also can be steeped to make teas useful in treating colds. Today Mr. Young received the seedlings from Peggy Harrell, a volunteer with Church World Service, who grew the seedlings in Helen, Ga. CWS is the humanitarian assistance ministry of the National Council of Churches, of which Mr. Young currently serves as president. He requested the trees to use to promote support for CWS Moringa work. Mr. Young promptly planted two of the trees in his front yard and will donate several to the University of Georgia Horticultural Department for study there. “In an odd way, the gift of the trees to Andy Young sends a message to the people of Georgia that even in the most dire weather circumstances there is a tree, the Moringa tree, that can bring hope and new life to the people who most need it,” commented Lee Echols of Atlanta, a long-time colleague of Andrew Young. In a 1997-99 pilot project, Church World Service and its Senegalese partner AGADA pioneered in documenting the Moringa tree’s exceptional value as a local, sustainable solution to malnutrition in Senegal, especially among infants, children and mothers. Now CWS is expanding the tree’s cultivation across West Africa and beyond. Mr. Young learned about CWS’s Moringa project last November and became an immediate “Moringa booster.” At the time of his prostate cancer surgery in December, he requested that well wishers donate Moringa tree seedlings for West Africa through CWS. In April, at the HIV/AIDS and Malaria International Conference in Atlanta, which he chaired, Mr. Young highlighted Moringa products’ nutritional potential for strengthening immunity and enabling healthier, longer lives for people with HIV/AIDS, especially in Africa. “Here is an indigenous nutritional supplement that people can grow in their own backyards,” Mr. Young said. With origins in India, the Moringa tree thrives in drought conditions and grows quickly in difficult climates. This scruffy looking, fast-growing tree comes into full leaf at the end of the dry season, precisely when other foods are the scarcest. Moringa leaf powder conserves well and is easy to use in porridge, biscuits, sauces served over rice or couscous and other recipes. Moringa leaf powder also helps purify contaminated water by settling the particulate matter. As a result of CWS/AGADA’s pioneering Moringa research, the government of Senegal is promoting Moringa as part of the national diet. The CWS/AGADA Moringa project last year completed training of all health workers and many community associations and local non-governmental organizations across southwestern Senegal, and now is conducting training across southeastern Senegal, where the problem of malnutrition is nationwide the most severe. Interest in the Moringa tree and in Church World Service’s pioneering work continues to grow. This spring, the Los Angeles Times published a major feature on the Moringa, and interest in its health and nutritional characteristics has continued. This summer, thanks to the initiative of CWS volunteer and veteran hiker Henry L. Rigali of Palmer, Mass., participants in an expedition to retrace the historic 1,000-mile “Burton-Spekes Expedition” across Tanzania are distributing 20,000 Moringa tree seeds, along with complete instructions, along the way. Sir Richard Francis Burton and John Hanning Speke in 1857 blazed the trail in an attempt to solve “mankind’s great geographic riddle”–locating the source of the Nile. CWS, in collaboration with two French research organizations, is finalizing plans for the first international Moringa conference, to be held early in 2001 in Niamey, Niger. About 100 people from around the world will attend. And, as soon as funding can be secured, Church World Service plans to expand Moringa training throughout the French-speaking countries of the Sahel region and throughout the tropics and sub-tropics. 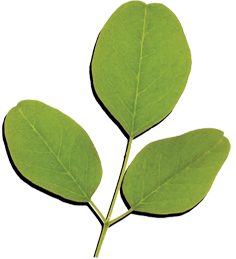 CWS also foresees clinical research on Moringa’s potential to stabilize health and nutrition among people with HIV/AIDS, and on Moringa’s reputed ability to control diabetes.